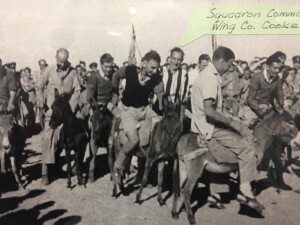 After the Second World War ended, 77 Squadron was transferred to Transport Command, and the station at Full Sutton was closed. The period up to September 1945 was taken up with training and familiarisation of the Dakota aircraft and the squadron moved to Broadwell on 31 August. During September, close support training was undergone and ground staff were recruited to accompany the crews. On 23 September, the first five aircraft took off from RAF Broadwell en route for India under SEAC, (South East Asia Command) followed by daily waves of five aircraft. 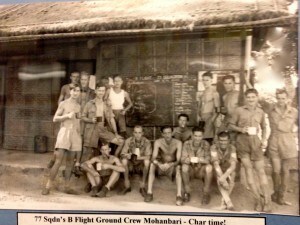 During October 1945, the aircraft were routed to Kargi Road from Karachi. 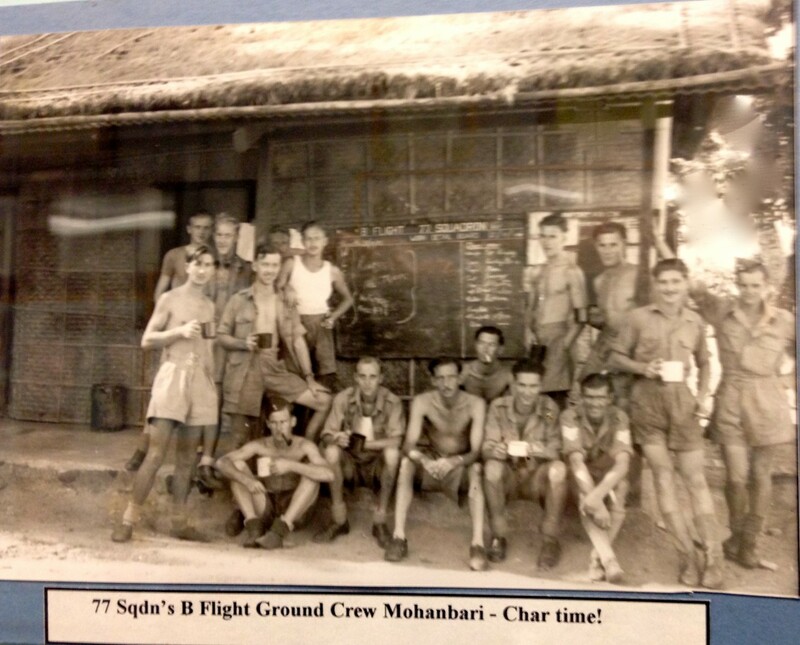 The squadron then moved to Mauripur to take part in the ‘Trooping Scheme’. 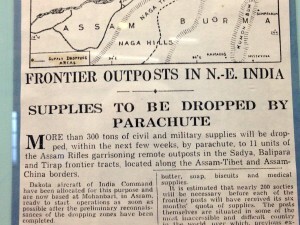 Over the next few months, flights were carried out to transport paratroopers and supplies to allied outposts and to ferry prisoners of war arriving from the Far East camps. ‘It was like running an airline. We were used for passenger and freight communications throughout India. Internal security was all-important and we were required to rush troops to any place they were needed. There were two parachute battalions at Karachi, the 15th and 16th and I spent many happy attachments there. Dropping them on appointed zones was always very satisfying. Special projects included VIP trips to Quetta, taking the governor of Sind Province to a conference, dropping supplies to the army and calibrating radio directional finding facilities at various RAF stations. 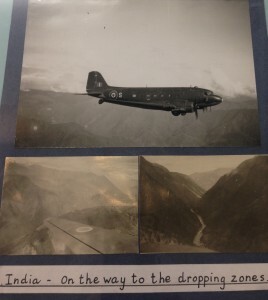 We dropped bags of grain during a famine in Kashmir and took turns as duty crews flying to Jiwani with drinking water, freight and passengers. 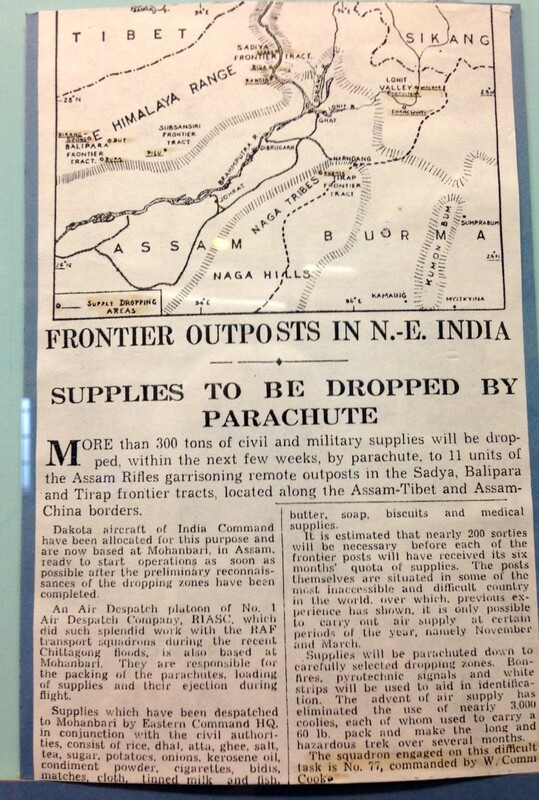 In June 1946, we had to supply a small British garrison at Drosh on the north-west frontier close to the Soviet border. The garrison was getting short of ammunition, holding out against attacks by Pathan tribesmen, and we had to make our way through or around the mountains. We could only fly in the early morning as the heat of the sun created such strong currents of air after nine and flying became impossible’. On 1 November 1946, 77 Squadron was renumbered to 31 Squadron in India. 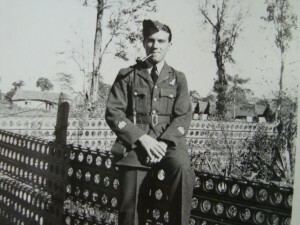 By then a large number of original veterans of the squadron had been demobbed. 1st December 1946: 77 Squadron was reformed at Manston, Kent, with Dakotas. 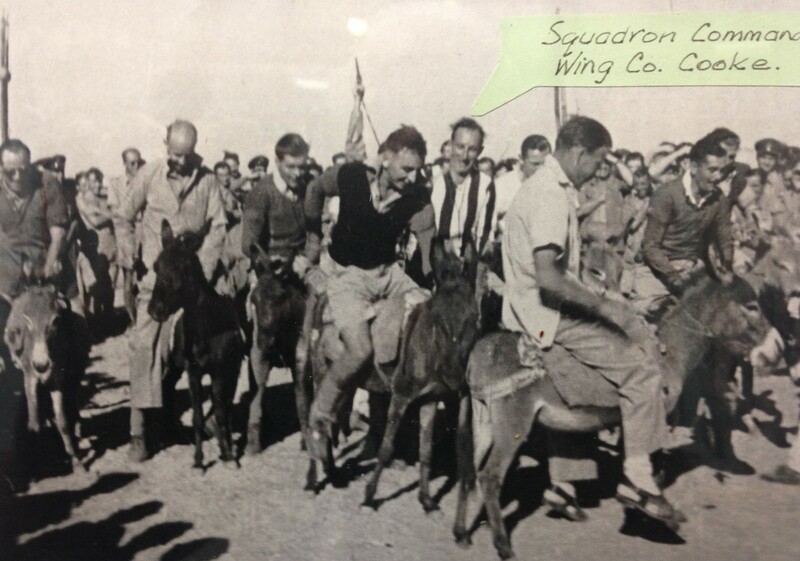 11 December 1947: the Squadron moved to Waterbeach. It was from Waterbeach that the Squadron flew to Wunstorf in Germany to take part in the Berlin Airlift in 1948 / 49 ferrying fuel to the citizens of Berlin stranded as a result of the Cold War blockade. 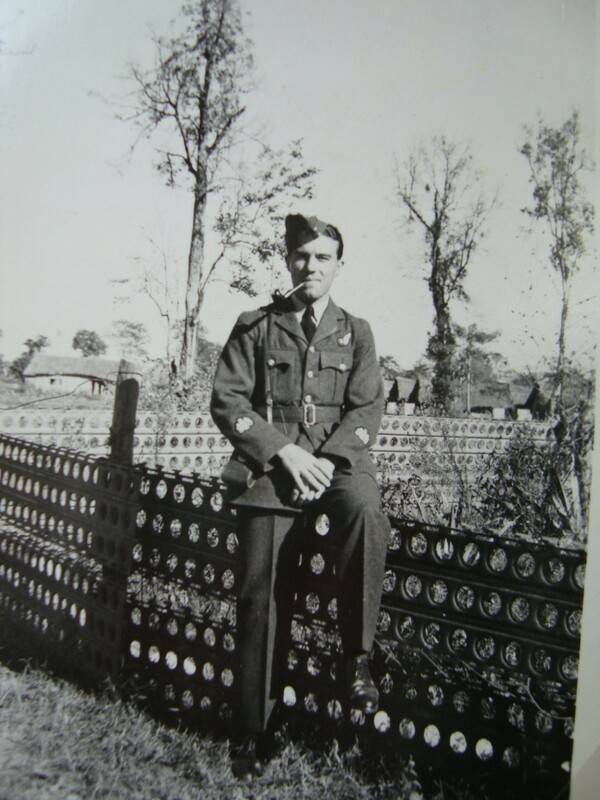 Part of the Squadron was still in Germany when it was disbanded in June of 1949.